Fall leaves are in the air! 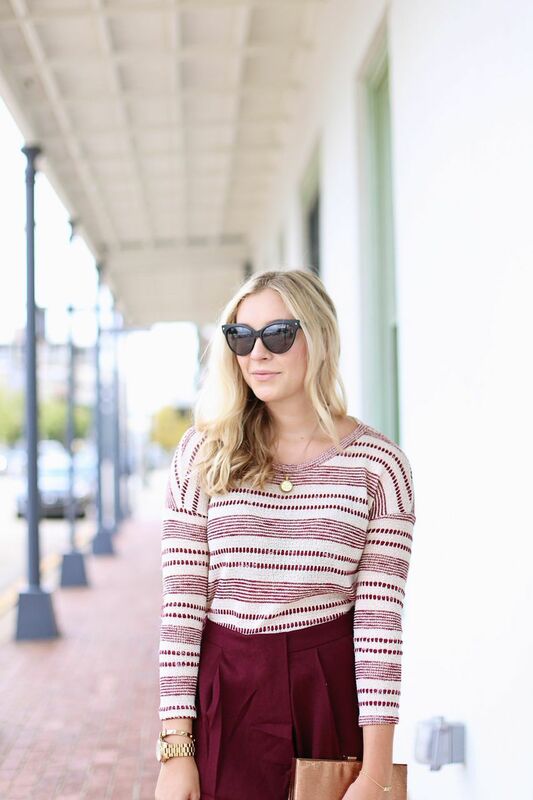 Today, I have styled a cute combo featuring my favorite fall color: Maroon! This is a simple, easily put together outfit that every girl could wear. I know sometimes I style pieces that are really out there that maybe everyone wouldn’t wear, but I always like to feature pieces that anyone can put together. This patterned top and fold over shorts are both from Vertage Clothing. I like how the long-sleeve top can be tucked into cute shorts like these or can be worn with jeans and boots with perhaps a scarf when it gets colder. This outfit is ideal for the weather we have right now; since its still hot and muggy, it is still acceptable to wear shorts! Let’s cross our fingers that it will be getting chilly soon! xoxo I hope everyone has a happy Monday! Special Thanks to Vertage Clothing for sponsoring this post!